Motorola had said its dearest RAZR HD LTE would be coming "later this fall" as an exclusive to Rogers, and today's the day that relatively thin and powerful Android handset hits shelves across the border. 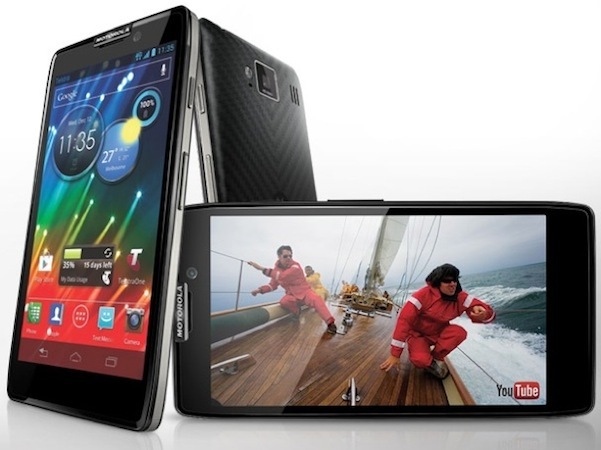 Available now for $100 (with the obligatory three-year commitment, of course), the RAZR HD LTE will hand interested Canadians a taste of Ice Cream Sandwich (sorry, no Jelly Bean for now), a 4.7-inch Super AMOLED HD, 720p display and a 1.5GHz, dual-core S4 CPU -- not to mention the ability to surf on Rogers' LTE waves in areas where the network's live. Meanwhile, those who would like to go the "outright" way will have to spend a cool $600 on Moto's Kevlar-sporting slab, but, needless to say, that's the price folks have to pay for walking out the door with a bit of leeway. Usually we'd say you should check out Rogers' website to snag one for yourself, however the site appears to be experiencing some technical difficulties right now -- but, hey, there's always the good ol' brick-and-mortar store. Motorola RAZR HD LTE now available in Canada through Rogers for $100 originally appeared on Engadget on Wed, 10 Oct 2012 01:21:00 EDT. Please see our terms for use of feeds.